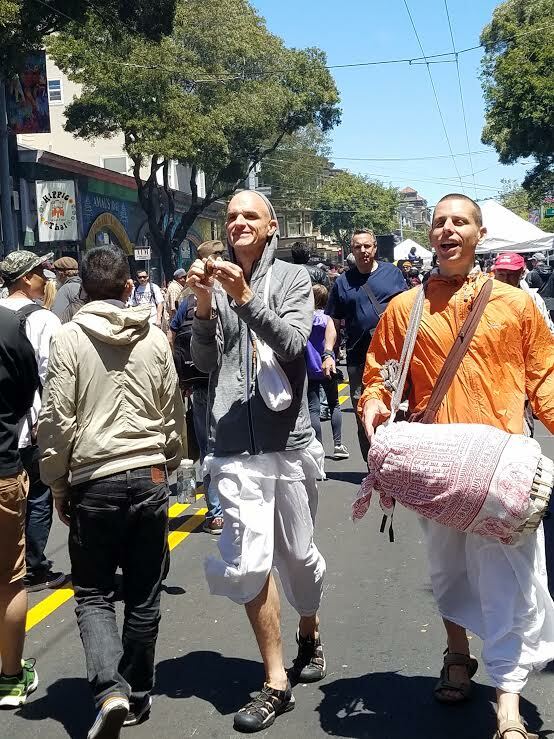 The Haight Ashbury Street Fair is a great time to hang out and have fun. This looks exactly as I would have imagined a street fair there. Lots of fun, huh? Pride parade this weekend, isn't it? More to photograph. 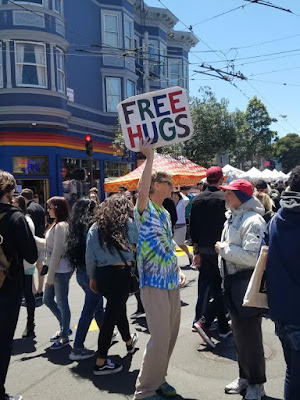 I love the free hug sign! All we do need is love. I wish more people thought that way. What a trip fun thing to do! I'm loving the hammocks. I have lots of tie-died shirts....I should go! Loved all the colour and those hammocks looked comfy. Great photos Patrick! Thanks so much for linking up and sharing with us at #overthemoon link party. I've shared on social media. Have a great week and see you at the next OTM. Lots of color and fun! This looks like so much fun! Thanks for sharing at the Wednesday blog hop. This place is wonderful. I would have to dig out an old sarong and let the hair hang down lol. This looks like my kind of fair. I love the free hugs and the guys in the hammocks. This is wonderful! I love love love the pictures! They're fantastic! Our Kane County Fair will be going up soon I'm going to have to take pics to show you. Maybe you can come out here some day to see it. I think You'll love it! HAPPY FOURTH AND BE SAFE & HAVE FUN! Don't forget to enter our giveaway! GOOD LUCK! you rock!! !